On Wednesday, August 16, 2017 Dave Harmening with Orchard Rite Wind Machines sponsored a meal in Candor for peach growers through out the region. 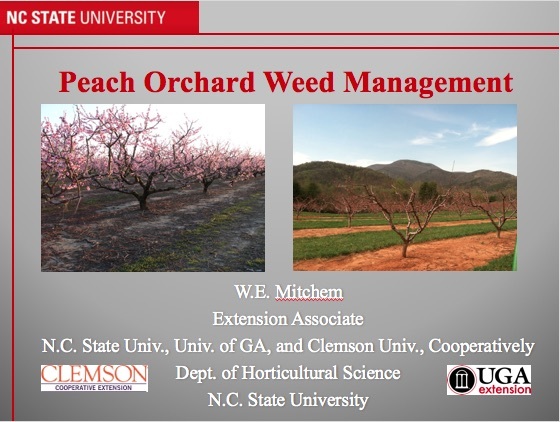 Wayne Mitchem, Extension Associate, provided an excellent program on Peach Orchard Weed Management. Planning for a strong weed management program in the fall can set you up for success for the entire year. See how in his power point below.